In 1819, a civil engineer called Thomas Telford began working on ambitious improvements to journey between London and the port of Holyhead. 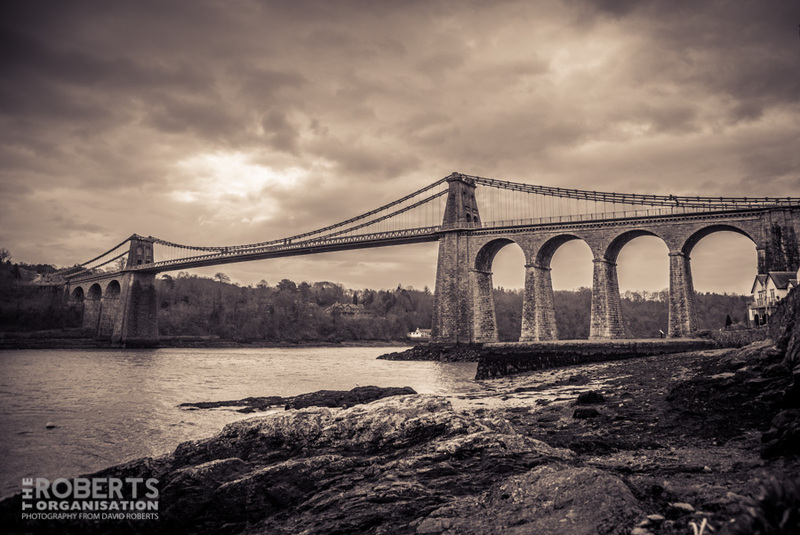 Recognising the danger – and to travellers that crossing the Straits involved, Telford designed a groundbreaking piece of civil engineering – the Menai Bridge. Completed on 30 January 1826, the Menai Bridge was a triumph of civil engineering – the biggest suspension bridge in the world at the time! Sixteen huge chains held up 579 foot of deck, allowing 100 feet of clear space beneath. This allowed tall sailing ships navigating the seaway to pass underneath, whilst spanning the Straits at its narrowest point. The Menai Bridge not only identified Telford as a civil engineering superhero, it also dramatically reduced the time and danger it took to travel from London to Holyhead. Along with Telford’s other improvements to the road, the journey time was cut 36 hours to 27.